HomeNewsNetflix’s ‘American Vandal’ Is Back With Season 2 Trailer + Premiere Date! Netflix’s ‘American Vandal’ Is Back With Season 2 Trailer + Premiere Date! Your favorite true crime satire is gearing up for its second season run on Netflix. 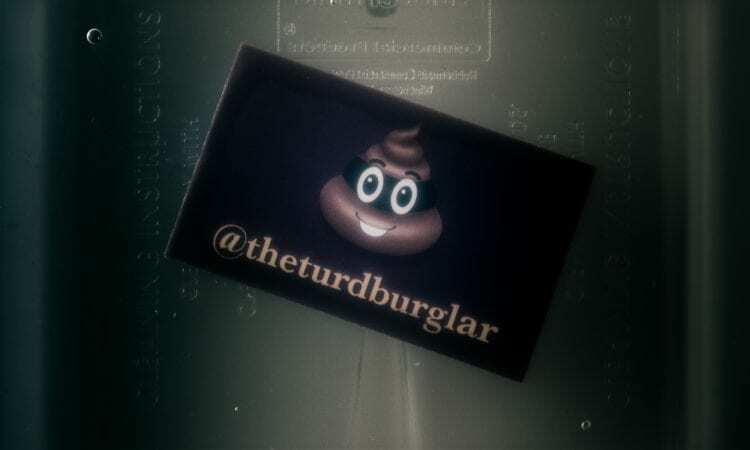 The streaming giant has just released the trailer for the sophomore season of American Vandal and this time around fans will be taken on the wild investigation of The Turd Burglar. Yes, season two is all about poop. According to the Netflix synopsis, season 2 of the Emmy-nominated and Peabody Award-winning series “follows documentarians Peter Maldonado and Sam Ecklund as they bring their investigative skills to an elite Catholic school where someone has been taking poop-related pranks to new heights.” New heights meaning, that lemonade in the school cafeteria is not safe and has unfortunate events on the student body after lunch. The series will find Tyler Alvarez and Griffin Gluck reprising their roles as documentarian/investigators Peter and Sam with a supporting cast including Travis Tope (Kevin), Taylor Dearden (Chloe), Melvin Gregg (DeMarcus) and DeRon Horton (Lou). The series comes to Netflix from CBS Television Studios, Funny Or Die and 3Arts. It will be executive produced by Tony Yacenda, Daniel Perrault and Dan Lagana, Joe Farrell for Funny Or Die, and Ari Lubet, Josh Lieberman and Michael Rotenberg for 3Arts. Season 1 of the show, which put a hilarious twist on the true crime craze, explored the aftermath of a costly high school prank that left 27 faculty cars vandalized with phallic images and coined the phrase “Who Drew the Dicks?”. Jimmy Tatro starred as Dylan Maxwell, the teen accused of committing the prank who was unjustly expelled and the main subject of the documentary. The season was nominated for Outstanding Writing for a Limited Series at the 2017 Emmy Awards. American Vandal season 2 will begin streaming globally on Netflix Friday, Sept. 14 and you can watch the full trailer below! ‘Veronica Mars’ May Be Coming Back as a Hulu Limited Series!